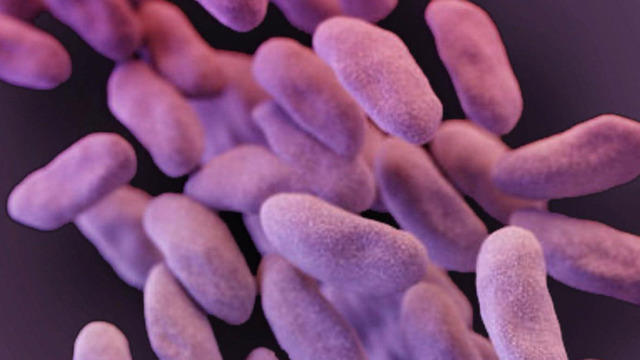 Two deaths in North Carolina are being blamed on the same drug-resistant superbug that made headlines last week after an outbreak that killed two at a Los Angeles hospital. Carolinas HealthCare System in Charlotte is increasing efforts to prevent the spread of the bacteria called carbapenem-resistant Enterobacteriaceae, or CRE. Health officials said two Charlotte-area residents have died from CRE in recent months, and and three people have acquired CRE infections while in Carolinas HealthCare System hospitals this year. About 15 people with existing CRE infections have been treated in Carolinas HealthCare hospitals. The hospital did not release details about the deaths because of medical privacy laws. Dr. Katie Passaretti is in charge of infection prevention at Carolinas HealthCare and says cases of CRE are increasing. To deal with the problem, the Charlotte-based hospital system is stepping up screening for people with CRE and isolating those who are infected. According to the U.S. Centers for Disease Control and Prevention, the bacteria can kill up to 50 percent of infected patients once it enters the bloodstream. Passaretti says the hospital also uses a device that kills bacteria with ultraviolet light to aggressively clean the rooms of CRE patients after they're released. CRE is especially dangerous because it does not respond to treatment with standard antibiotics. Last week Ronald Reagan UCLA Medical Center revealed that two patients there had died, five others were infected and more than 170 others may have been exposed to the superbug during specialized endoscopic procedures. The medical scopes were still carrying the deadly bacteria despite being disinfected according to guidelines established by the manufacturer. Since 2012, superbug infections related to contaminated endoscopes have appeared in cities across the country, including Chicago, Pittsburgh, Philadelphia and Seattle. "It's serious. This is the fifth major infection over the last two to three years, and it keeps happening," CBS News medical contributor Dr. David Agus said on "CBS This Morning" about the Los Angeles cases. Hospital officials at UCLA said they immediately removed the contaminated medical devices and adopted more stringent sterilization techniques.